Downtown Los Angeles (DTLA) generated a lot of good news in 2017. “Downtown Los Angeles is undergoing its largest construction boom in modern times,” the Los Angeles Times reported. Forbes followed up on that, proclaiming “Downtown Los Angeles is America’s Most Colorful Neighborhood.” Meanwhile, “the revitalization of downtown Los Angeles alongside the city’s longtime reputation for its sunny climate has propelled it into the Top 10 ‘Best City Brands’ in the world,” the Los Angeles Business Journal crowed. Thanks to revitalization, repurposing and renovation, DTLA is a vastly different submarket than even before the Great Recession. The population is expanding. This, in turn, is attracting restaurants, entertainment spots and businesses. One crowning achievement was the 2017 opening of the Wilshire Grand Center on Wilshire Boulevard, the 73-story skyscraper boasting an 889-room InterContinental hotel, perched atop 365,141 square feet of office space in the Financial District. Built by Korean Air at a $1.1 billion cost, the project is representative of the submarket’s improvement. But with any regentrification efforts, there are concerns, and DTLA is no different. As DTLA is being built up, lower- and middle-class people are being pushed out. With investment dollars flowing from domestic and foreign investors, plenty of development plans are in the approval phase, while cranes climb to the sky. Construction recently launched on Park Fifth tower, a 24-story development with apartments and ground-floor retail, situated across from Pershing Square. Work continues on Circa, a two-tower, 35-story property that will boast 648 residential units, and 48,000 square feet of retail/restaurant space. The renovation of the Ford Factory complex at Seventh Street and Santa Fe Avenue is moving forward in anticipation of the Warner Music Group’s arrival during summer 2018. Renovations are also underway on the former Title Insurance Building, an 11-story 1920s Art Deco property on Spring Street, which is being marketed as creative office space. Another renovation? The former May Company building on Eighth and Broadway is being converted into Broadway Trade Center, a 1.1-million, mixed-use project. Meanwhile, projects on the drawing boards include a two-tower hotel development near the convention center, a massive upgrade on the Merritt Building, a renovation of the Music Center Plaza, and The Grand, Frank Gehry’s $950-million, mixed-use complex that will be built on a parking lot across from Walt Disney Concert Hall. Marcus & Millichap’s Multifamily Research Market Report for Q4 2017 said DTLA apartment vacancy was 6%, representing a year-over-year 260-basis-point boost, due to supply flowing into the submarket. Furthermore, effective rent growth stood at 4.5%. On the office side, JLL’s year-end metrics pointed to a 17.2% vacancy and -76,749-square-foot absorption out of a 30.5 million-square-foot total inventory. CBRE’s numbers noted overall vacancy at 18.3% and net absorption of -2,366 square feet, with a total inventory of 31.3 million square feet. Research numbers differ, depending on how companies define submarkets. But both companies show double-digit office vacancies, with nothing more under construction, as of now. DTLA’s Arts District is undergoing a lot of new construction and renovations. One of these, At Mateo, is a $90-million development offering 50,000 square feet of office space and 130,000 square feet of retail and restaurants. Meanwhile, the 472-unit Aliso is rising on East Third Street. Near the Arts District is skid row. Even with sparkling real estate projects being built just a stone’s throw away, skid row continues attracting the poor and disenfranchised. A recent article in the Daily Mail entitled “Welcome to Skid Row 2017,” details the lives of 20,000 homeless living on the streets. Meanwhile, others are concerned that developments are taking away what is unique about DTLA neighborhoods. “After more than a century as a remarkably cohesive neighborhood of mid-rise buildings, the Historic Core is being littered with high-rise towers of twenty-to-thirty stories that will dwarf their neighbors,” the L.A. Conservancy noted. Proposed developments are also leading to a “not-in-my-backyard,” or NIMBY, pushback. 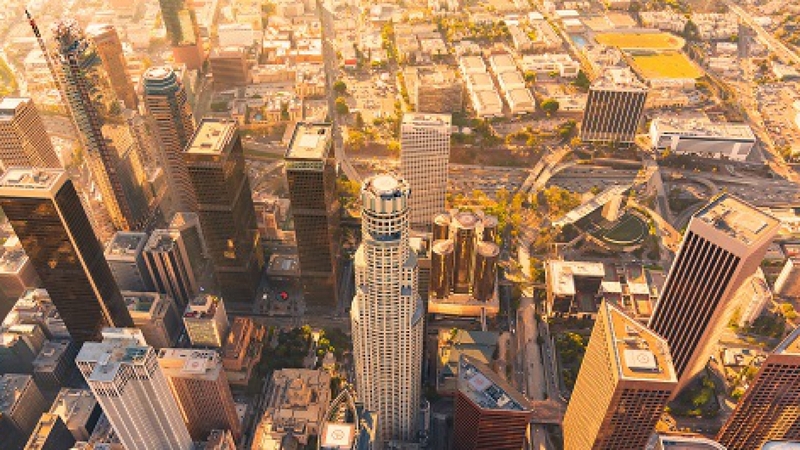 For years, the Society for the Preservation of Downtown Los Angeles and the Eastern Columbia Homeowners Association protested construction of the 450-unit Alexan Tower. The condo tower finally broke ground at Ninth and Hill Streets. L.A. Curbed expressed concerns, wondering how to prevent one of the area’s hottest neighborhoods from “becoming just another enclave of the superrich,” with new apartments renting for upwards of $3,000 for a one-bedroom unit. Low- and middle-income people have been unable to find places to live in “an area suddenly awash in a stunning number of pricey boutiques and restaurants,” L.A. Curbed said. Though DTLA’s revitalization is making the area safer for live, work, and play; the downside is that housing options for lower- and middle-income residents is dwindling. It’s great that DTLA is attracting positive attention. However, pushing out residents who can’t afford to live in and around the CBD will do little to alleviate current problems, including traffic congestion and homelessness.